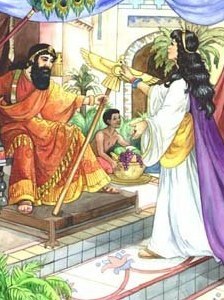 King Xerxes (ZERK seez) was looking for a new queen. 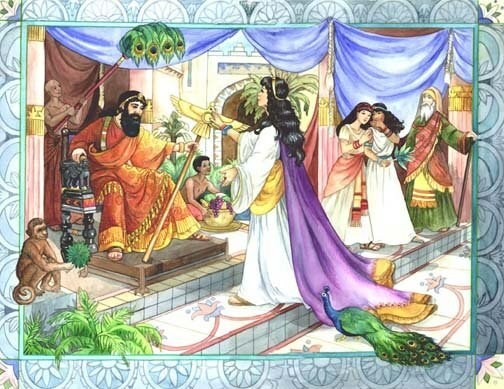 Many young women were considered, but after a year of beauty treatments, Esther was chosen to be the new queen. 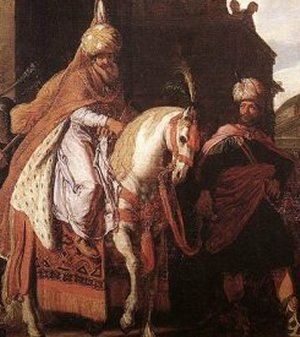 Haman was the most powerful man in the kingdom besides the king. He was an evil man who hated the Jewish people and plotted to have them killed. 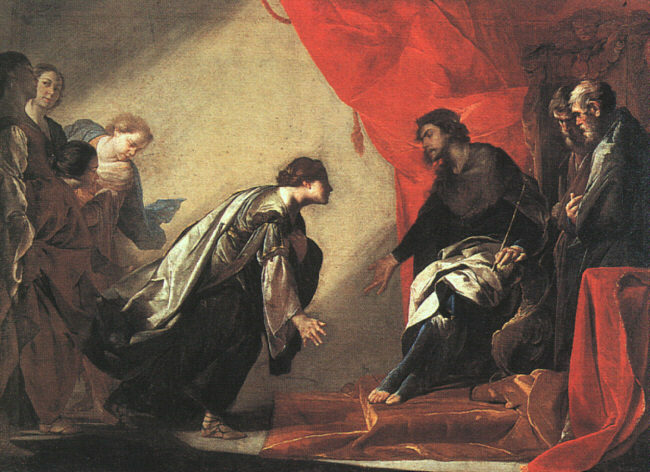 Mordecai persuaded Esther to go to the king and plead for the lives of the Jewish people. She could be killed for going before him when she hadn't been called. But she was brave and went to see the king. She invited him and the evil man, Haman, to a banquet. During the meal, she revealed the plot against the Jews and accused Haman. 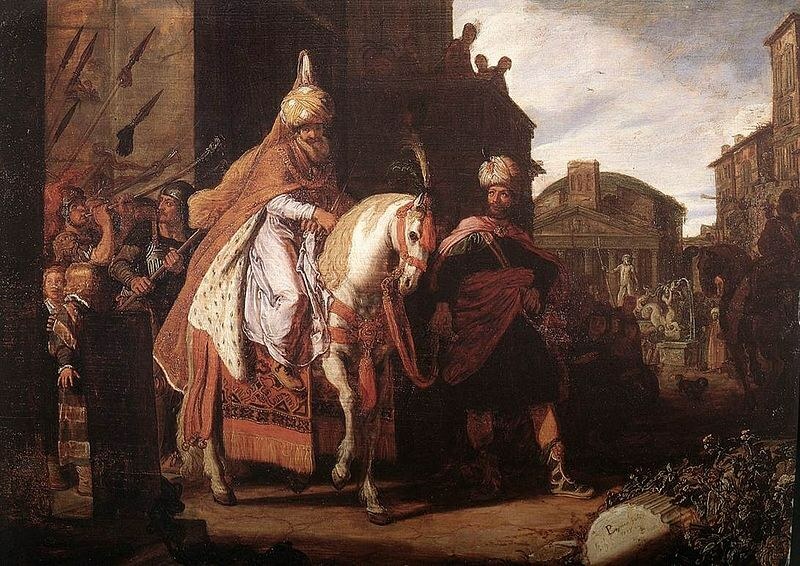 Haman was hanged on the gallows he had prepared for Mordecai, and the Jews were allowed to defend themselves. Mordecai was honored. Since that time Jews have remembered Esther and celebrated the Feast of Purim. All the sufferings of the Jewish people were caused by the prejudice of Haman, the evil man who wanted them killed. Prejudice causes a person to judge and hate another person based on race, color, or some other factor. Many times families pass on their prejudices to their children, and the children learn to devalue people because of such factors. Do you struggle with some kind of prejudices? Ask God to help you overcome this and look for the good in all people. 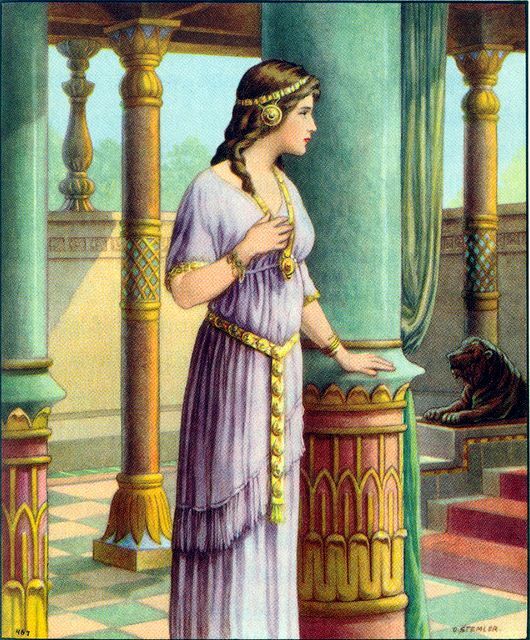 You can read this very interesting story of Esther in the book of Esther chapters 1-10. English Bible Activities Select stories #127-134 in the list for activities to accompany this Bible story. Spanish Bible Activities Select stories #127-134 in the list for activities to accompany this Bible story. Press "Go" to search for books about Esther. Thank you. I am making my journey through the Bible and your sight helps me to understand. My wife and me were looking for material about Esther and so we found your page ... and there's so much (biblestories) more ... !!! We will make this our #1-site! God bless you & Shalom !!! Our Church cannot aford Sunday school books. This page is very inspirational. I love it. I will use it for my bible club. Thank you! This page displayed 229,617 times.